Blog - Page 3 of 8 - American Limousines, Inc. The new year may have just begun, but romance is definitely in the air. Before too long, February will be here — which means it’s time to celebrate your relationship with the special someone in your life. If you really want to do Valentine’s Day in style, you may want to consider adding luxury limo services to your itinerary. Here’s what you need to know about renting a limo on or around February 14. Why Rent a Limo For Valentine’s Day? One of the best ways to show your sweetheart how much you care is to treat them to every luxury they deserve. That includes your choice in transportation. Whether your used car is in need of an upgrade or you simply want to pull out all the stops, renting a limo will be sure to impress and start off your evening in style. 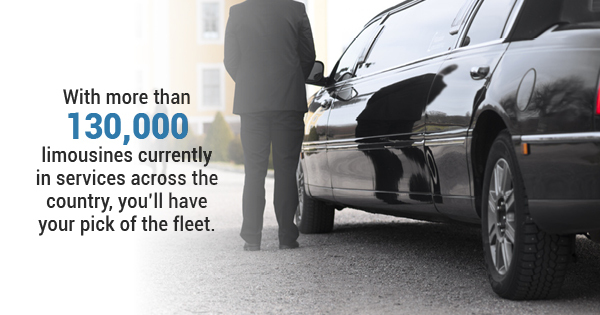 With more than 130,000 limousines currently in services across the country, you’ll have your pick of the fleet. That means you can keep your loved one’s preferences in mind when selecting a vehicle and when asking about special accommodations. Not only will the ride be smooth and sleek, but your limo driver will also transport you with safety as a main priority. There’s no need to downplay your celebrations if you opt for luxury limo services. You won’t have to worry about parking, traffic, or road hazards. You can sit back, relax, and enjoy each other’s company the entire night. How Can You Incorporate Luxury Limo Services Into Your Romantic Plans? Whatever you have on your itinerary, it’s easy to make a limo ride part of your plans. Secure transportation to a romantic restaurant, a dance venue, or a local theater. You could also head to a concert, sports event, skating rink, museum, club, bar, movie screening, spa, luxury hotel, or scenic spot. No matter what you decide to do together, you can make everything that much more special by taking a limo to get there. It can really set the stage for romance. Want to Learn More About Valentine’s Day Limousine Rentals? With a limo rental, you can easily book a glamorous trip that your partner will never forget. If you want to make this Valentine’s Day completely memorable, you’ll want to consider our limo services. Keep in mind that reservations fill up quickly, so don’t wait until the last minute! To find out more about booking a limo for your next special occasion, please contact us today. December has just begun, but before you know it, we’ll be ready to ring in the new year. Before the clock strikes midnight and 2019 officially begins, it’s essential to know how you’ll be celebrating. If you were considering driving yourself and your friends around, you might want to rethink your plans and consider a luxury limo service instead. Here are three good reasons why you might want to rent a limo on December 31. You’ll Stay Safe: New Year’s Eve parties can be a lot of fun, but this holiday can be a dangerous one. Drunk driving incidents are common, as are preventable physical injuries that result from over-indulging in alcohol consumption. Nothing says that you have to stay completely sober on New Year’s Eve, but it is essential to stay sober if you plan on driving. That can ruin the festivities for some people — and put others in danger. When passengers secure their limo service rentals for New Year’s Eve, they’re able to partake in all the merriment without risking their personal safety or that of others. And because luxury limo services need to be reserved ahead of time, you won’t have to worry about being stuck with no ride options at the end of the evening and be forced to drive as a result. It’s Stylish and Special: If you really want to do New Year’s Eve right, you’ve got to do it in style. While most limos can’t rival the one built by Jay Ohrberg in the late 1990s (which included a swimming pool, jacuzzi, helipad, and 26 wheels! ), most limousines in a given fleet will still knock your socks off. Comfortable seating, fun lights and music, and privacy windows can provide a truly special experience that will allow you to feel like a celebrity for the whole evening. Who doesn’t want that? You’ll Have Peace of Mind: You shouldn’t be filled with anxiety on New Year’s Eve. But if you’re forced to drive yourself and your plans don’t work out as you intended, you may find it hard to celebrate due to all the worry and stress. Opting for luxury limo services will allow you to bypass all the parking issues, potential car accidents, and even hurt feet from walking everywhere. It’s an easy solution that puts your comfort first — a truly great way to start out the new year. As the holidays get closer, time is running low to secure your New Year’s Eve limo rental. For more information on our services and our vehicle fleet, please contact us today. A bachelorette party means one thing for the bride-to-be: adventure. And there’s no better way to enjoy your last night as a single woman than by traveling somewhere new. But when traveling becomes a chore, your whole trip is at stake. Sour moods, frustrated guests, and anxiety can all put the quality of your trip in jeopardy. Avoid these pitfalls by following these essential tips for your bachelorette weekend away. Unless you’re comfortable traveling in a large group, it’s easier to commute in smaller numbers. Forming a guest list for the party is hard work but a small party also ensures you’re able to give each guest the time and attention they deserve. After all, everyone wants to be there for the bride-to-be. If your party is too large, some guests may feel left out. Solve this by only inviting your closest family or friends. Though a party bus is a great option for local affairs, renting a limo should be more than enough for small parties. If you must have a larger bachelorette party, consider inviting people who get along with each other. At the very least, you should ensure your guests know each other prior to the party. That way, everyone will feel comfortable and ready to party. It might be tempting to bring all the bachelorette decorations you can, but packing light is the best move for the bride on a budget. Between checked bags, lost luggage, and stolen items, any number of things could go wrong. When you pack your bags, keep the important items in your carry-on and only pack the necessities in your suitcase. This will also ensure all the bags of your party will fit in the luxury limo service. While going to the bars each night is a given, there are plenty of free activities to engage in during your bachelorette weekend. Lounging poolside is virtually free while exploring local parks costs next to nothing. Besides, planning a realistic budget will allow you to save for your upcoming honeymoon. When you want the best transportation on your upcoming trip, don’t hesitate to call the best limo rental and van rental Baltimore has to offer; with American Limo, you never need to worry about getting lost or missing a reservation. 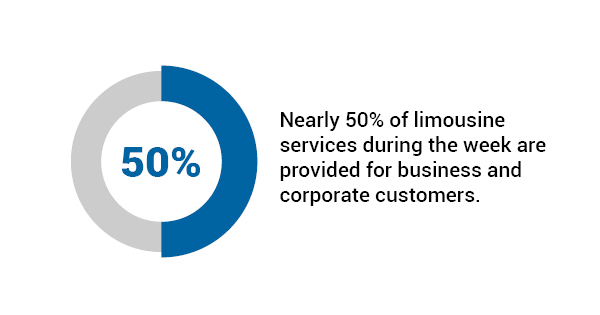 While 50% of weekday limo services are for businesses, the weekend is where the luxury limo service thrives. Call today for more information! The digital age is one of convenience. Everyone wants the easiest option — even if they have to make other sacrifices as a result. Unfortunately, a lot of people learn the hard way that, in some cases, the traditional route can be better overall. There’s a reason why our Baltimore sedan services have and continue to endure the test of time. Even though ride sharing apps like Uber and Lyft have become extremely popular, there are still several reasons why going with a car service is better for both the customer and for local businesses. Why Choose Baltimore Sedan Services Over Ride Shares? When you hire a sedan cab service to serve your professional or personal needs, you can rest assured that you will be protected on the road. Although Uber drivers are subject to background checks, that doesn’t mean these third-party examinations are foolproof. In fact, they’re far more likely to miss instances of criminal activity than checks that are executed by government agencies. In addition, Uber’s criminal history window is quite small, meaning that there may be drivers out there that have committed crimes. The same cannot be said of car service employees. Car services also take responsibility for their employees, whereas ride sharing services treat drivers as independent contractors; this removes legal liability and essentially leaves the customer to fend for themselves. Hiring a private car service provides peace of mind and a higher level of professionalism overall. Ride hailing companies may do some damage control after an incident — and that’s about it. If an incident occurs during your ride or your driver never shows up, you may never actually get a satisfactory answer for it. Uber and Lyft are not known for their stellar customer service; in many cases, they may throw up their hands and exclaim that the issues are not their problem. And if they do take action, it’s only because the customer had a subpar experience first. Baltimore sedan services, on the other hand, make customer service an integral part of the business model. We set the bar far higher and make it our mission to ensure our customers are happy throughout the entire process. Not only does this prevent situations from going awry, but it also ensures that if they ever do, we’ll bend over backward to make it right. Sure, scheduling a ride via Uber or Lyft requires virtually no thought. 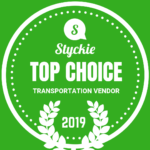 But you may also want to consider where your money is actually going when you evaluate your ground transportation options. When you choose a ride share, you’re supporting a huge corporation that doesn’t do a thing to protect its drivers or even compensate them fairly. A lot of drivers who work as contractors for these companies can barely make enough to scrape by. But when you contract Baltimore sedan services, you’re supporting a local, thriving business that takes pride in its vehicles and in the quality of its drivers. Ultimately, that puts money back into the surrounding community and helps other businesses succeed, too. If you rent a limo, you know you’ll automatically be getting a stylish vehicle — even if you aren’t renting the fastest, most impressive limousine on earth (which can hit 170 miles per hour and measures 20 feet long). But that’s true if you go with a car service, as well. Because we take full responsibility for the upkeep of our cars and purchase quality models, you’ll enjoy a smooth ride and can keep employees and clients happy. Scheduling an Uber ride is a total gamble; since drivers use their personal vehicles, you really don’t know what kind of experience you’re going to get. Do you really want an important investor being taken around in a beat-up Jeep, having to make conversation with an odd-ball driver? We didn’t think so. Although there are a few advantages to ride sharing, there’s little doubt that Baltimore sedan services offer a higher quality ride and overall experience. For more information on how our car services can help your business, please contact us today.